The Essential Tool Kit, Redux! Over the weekend, I was asked by my mother to clean up some poorly-mitered baseboard moulding. Not knowing what the moulding was made of (MDF, by the way), I packed up a small toolbox with enough woodworking handtools to tackle any task. I’ve been down this road before, but I took the chance to think through the essential handtool woodworking kit once again. 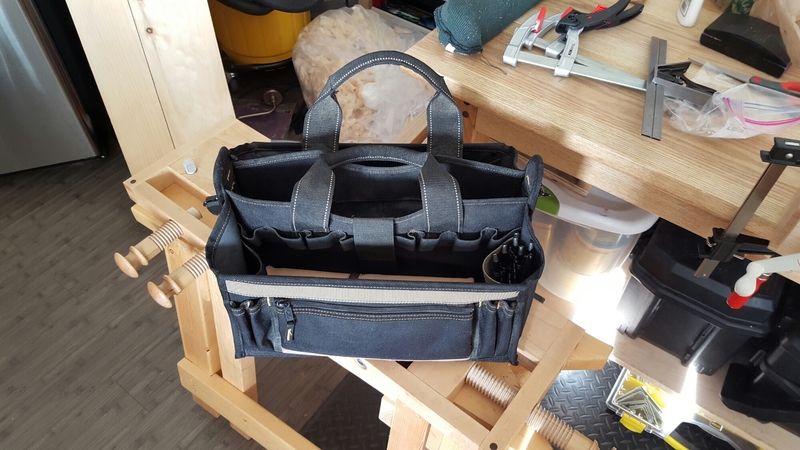 More than anything, I was confined by what I could fit in or on the toolbox, which is about 16″ long and has been with me since the beginning. Looking back, I had room for a small router plane and a couple clamps. Maybe a dovetail saw, spokeshave and Shinto rasp if feeling fancy. A hammer and cut nails too. Plus a 200 grit diamond plate and honing guide for grinding. And that, along with a small cordless power drill, would be enough to get started making anything, I think. Just don’t forget the glue and blue tape.